It doesn’t light up all of the lights. Listeners of The Vergecast know that I’ve been ridiculously excited about the new Apple TV 4K for weeks now, because there isn’t a great standalone streaming device that supports Dolby Vision 4K HDR and the new Dolby Atmos surround sound format. I just haven’t been able to use the full capabilities of my home theater — lighting up both the Dolby Vision and Dolby Atmos lights on my receiver and TV — and I was excited for Apple to put out a polished, high-end product that got me there. Apple is firmly at the high end of the market: the Apple TV 4K starts at $179, much more than competing 4K HDR-capable devices like the $89 Roku Premiere+ or the $69 Google Chromecast Ultra. I was really expecting — hoping! — this thing would blow me away. But the new Apple TV doesn’t support Atmos. And it doesn’t support YouTube in 4K HDR. And it doesn’t have Disney or Marvel movies in 4K HDR. And it makes some 1080p content look less than great. I’m going to explain why these limitations exist, but you’ll have to bear with me. I suspect most reviewers will focus on the interface, the TV app and the various content deals that populate it, and the bare fact that the Apple TV now supports 4K HDR playback. But I need to tell you about video format arcana, because Apple’s decisions around some very wonky specs directly influence what it’s like to use the new Apple TV 4K. Put some tape on your glasses. This is going to be nerdy. The Apple TV 4K is more or less a processor bump update to the fourth-gen Apple TV, which launched in 2015. Apple took iOS, reworked it for TVs with the clever name of tvOS, opened a TV-focused app store, and declared that the future of TV was an endless stream of apps. Last year, it pushed ahead with a new TV app that presents a single interface with aggregated content from partners like Hulu and ESPN. It’s clear Apple intends to simply make the TV app the home screen, but until app support gets built out, it’s just another app on the familiar icon grid home screen we’ve seen for years. Since 2015, Apple’s competitors, like Roku and Amazon, have come to dominate the market, mostly with cheap streaming sticks like the Roku Express, the Amazon Fire TV stick, and the Google Chromecast, all of which cost less than $50. 4K HDR smart TVs have also gone mainstream and gotten much smarter, preloaded with apps like Netflix and Amazon Video that support 4K HDR. The new Vizio interface is a dead ringer for the Apple TV. One of the best TVs of the year so far is a $600 4K Dolby Vision Roku TV. If you buy a new 4K HDR TV, you often don’t actually need an external box. While all of this was going on, the Apple TV was limited to 1080p and had an opening price of $149. So Apple looked at all of that, added 4K HDR support to this new Apple TV, and upped the starting price to $179. Okay then. 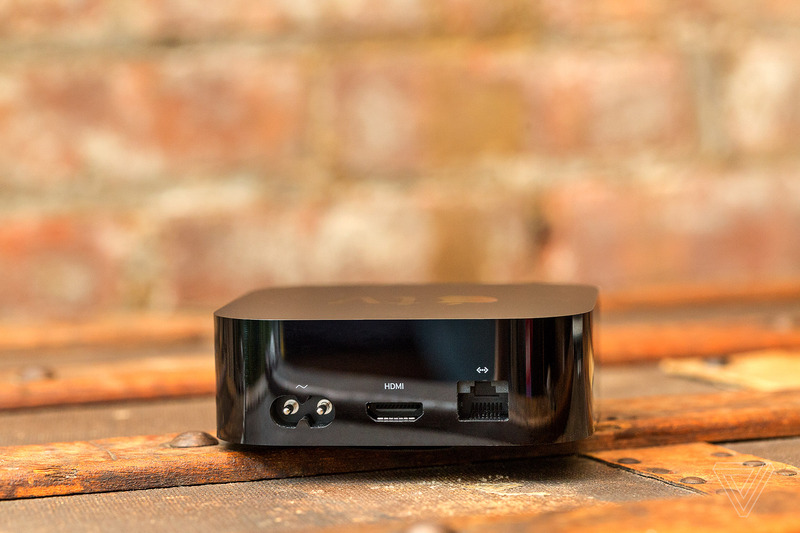 Now, you do get a lot for that $179: the Apple TV is the currently the only standalone box that supports the Dolby Vision HDR standard, which is a big deal. (The $69 Chromecast Ultra supports it, but it’s spotty and it lacks its own interface.) Apple’s worked deals with most major studios to price 4K HDR movies at a cheaper $19.99 instead of the usual $29.99 Vudu and Google Play charge, which is terrific. And every HD movie you’ve already bought on iTunes will be upgraded to 4K HDR for free as they get remastered. Several of my movies have already been upgraded, which is very nice, especially because Apple’s encoding is much better than other services. 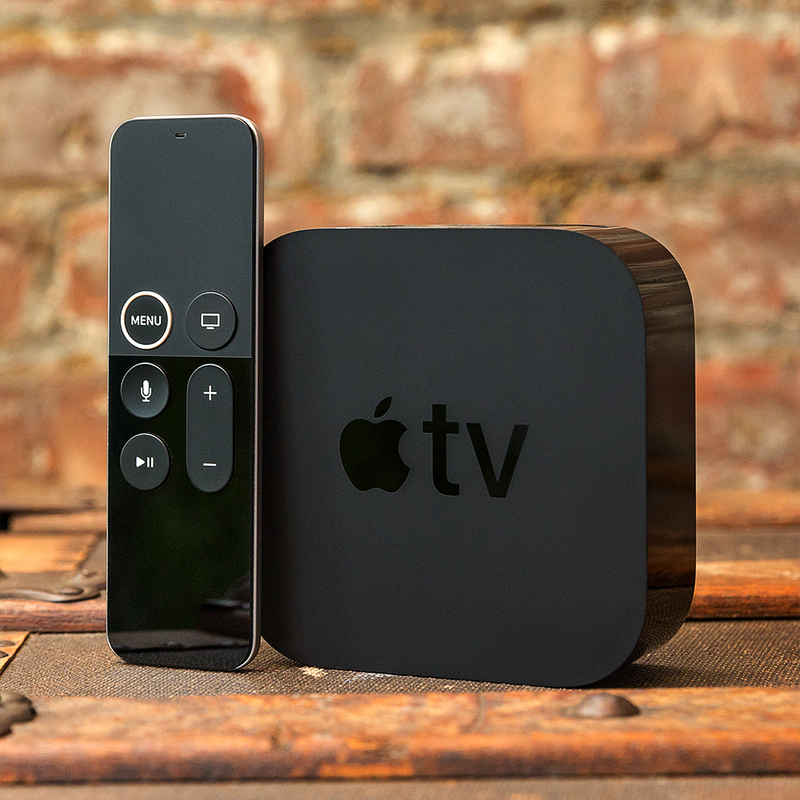 If you have a large existing iTunes library or you buy a lot of movies, you might come out way ahead by investing in an Apple TV 4K. What’s more, outside of gaming consoles, custom-built home theater PCs, and the extremely niche Nvidia Shield, the Apple TV 4K is the most powerful mainstream box you can stick under your TV. It has the same A10X Fusion chip as the iPad Pro in it, which means it’s as powerful as some laptops. The new processor means the bottom is slightly reworked, with a circular air vent, but it’s otherwise the same size and shape as the previous model. 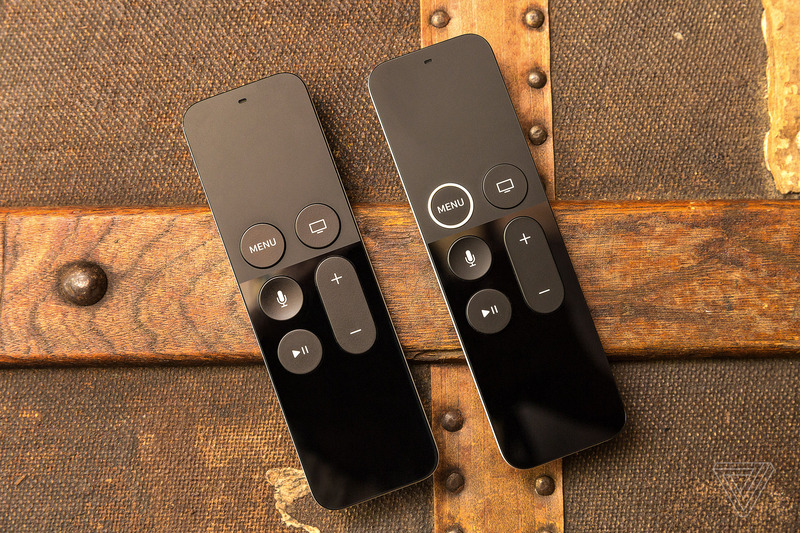 New Apple TV remote on the right, and the old one on the left. 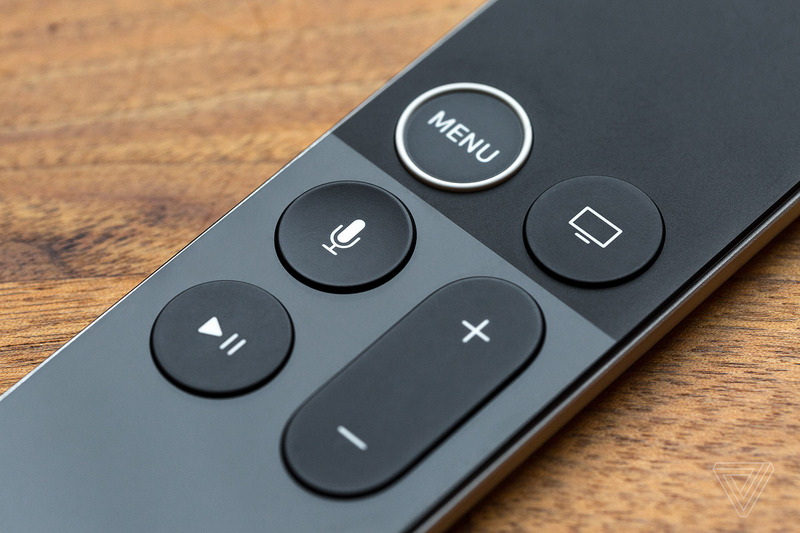 The Apple TV 4K remote has also been subtly redesigned: there’s a white ridge around the menu button now, which makes the thing far easier to pick up correctly in the dark, and there’s a new three-axis gyroscope in it for better motion tracking. The touchpad is still frustrating, however: I much prefer navigating the Apple TV interface with the D-pad on my Harmony remote. It’s very cool that opening a text-entry field sends a notification to your iPhone. All you have to do is swipe down and start typing on your phone, which is much nicer than swiping through the why-is-it-horizontal on-screen keyboard. It’s a terrific idea. tvOS is full of terrific ideas. It’s one of the most idealistic and ambitious TV operating systems ever. But that idealism leads to strange decisions. Apple is very proud of the fact that the entire tvOS interface has been reworked to run in 4K HDR, but it also won’t let the device switch modes on your TV: from 4K to 1080p, from HDR to SDR, or from a 24Hz refresh rate (for movies) to a 60Hz rate (for games and interface animations). That means that, out of the box, any non-4K content you watch will be upscaled and processed into 4K HDR, running at the highest refresh rate your TV supports, which is usually 60Hz. 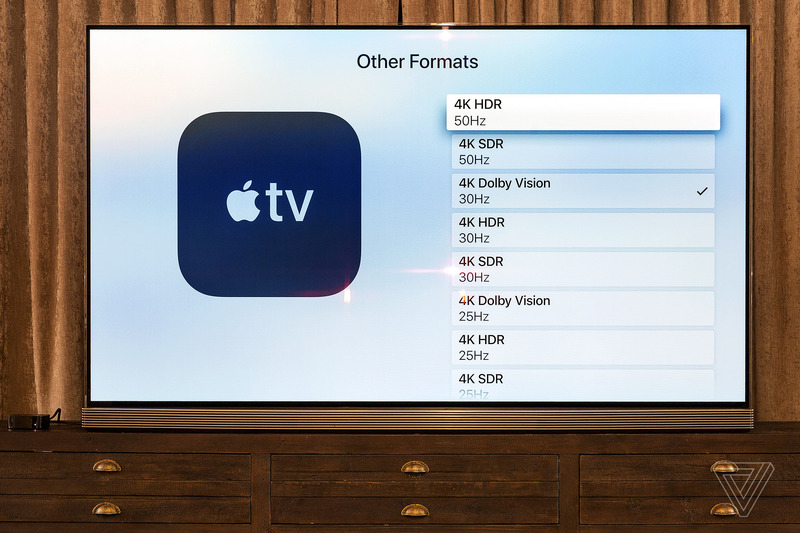 The Apple TV also automatically preferences refresh rate over any other setting: if your TV supports 60Hz HDR10 but only 30Hz Dolby Vision (like 2016 LG OLEDs), the Apple TV will pick HDR10, even though HDR10 looks worse than Dolby Vision. Apple told me that’s because it wants the interface and games to run as smoothly as possible; it’s found that the interface judders at 30Hz. So you’ll get worse HDR but a smoother interface, all because the Apple TV won’t switch modes. The lack of mode switching also means that Apple’s picking its own video upscaling and processing system over whatever’s in your TV. Your TV just thinks it’s getting 4K HDR video all the time. It won’t know that it’s actually displaying an HD source, and won’t do any of the tricks 4K TVs do to make those sources look better. If you have a previous Apple TV, this lack of mode switching is familiar, but remapping SDR content into HDR is a whole new ballgame, and unfortunately, Apple’s HDR video processing is hit or miss. It was great when I watched HD content from iTunes, but it fell down in other apps. I watched The Dark Knight in HD on HBO Go with our video team, and the Apple TV 4K HDR processing blew out all the contrast in the image, sharpened everything to hell, and turned the film grain into noise. The same movie looked fine on iTunes, but it just looked bad from HBO Go. I checked on my older 1080p Apple TV, and HBO Go looked fine. So there’s definitely work to be done here. The good news is Apple told me it’s continuing to refine the processing it’s doing with the goal of making HD SDR content look normal, and the Apple TV gets regular software updates, so it’s not an empty promise. But right now, if you just want to pass along an unmolested HD video feed, you’ll have to change the output settings of the entire system. So from the jump, the Apple TV forces you to run your nice new 4K HDR TV at a suboptimal setting at some point during the course of using it. The specifics of this problem might only be of interest to A/V nerds, but the way it looks in the end will affect every single Apple TV 4K owner. I suspect Apple will eventually add an advanced setting to allow for mode switching, but out of the box right now, this is what you get. After years of absence, an Amazon Prime Video app will come to the Apple TV in a few months, but it’s not here yet. When it does arrive, it’ll integrate into Apple’s TV interface, which is very nice. Apple’s also high on Hulu and DirecTV Now, which integrates live TV into the TV app. But Netflix is still a holdout, so you’ll be bouncing into the Netflix app eventually. While getting 4K HDR movies for $20 (and $6 to rent) is great, not every studio is on board. Specifically, Disney hasn’t signed on, which means Disney movies and Marvel releases like Guardians of the Galaxy 2 and Captain America: Civil War are still in HD, even though they’re in 4K HDR on other services like Vudu. The movies that are in native 4K HDR look terrific, of course, and the 4K HDR library is growing rapidly, according to Apple. There’s definitely stuff in iTunes I haven’t seen anywhere else. You can also ask Siri to show you 4K HDR movies and they’ll pop right up, which is great fun. There are wonkier content issues, as well. (Of course there are.) Apple doesn’t support YouTube’s VP9 video format, which means YouTube on the Apple TV 4K doesn’t support 4K HDR playback. Apple doesn’t have any timeline as to when or if that might happen; it’s a problem that affects Safari on the Mac and iOS devices as well. Again, the specifics of the issue are nerdy, but the result is that no one who buys a new Apple TV can watch 4K YouTube videos — and YouTube is the single largest source of 4K video. Until Apple and Google figure it out, MKBHD and #teamcrispy will all be running at 1080p on the Apple TV 4K. Sorry, boys. Apple also doesn’t support modern surround sound standards like Dolby Atmos and DTS:X, which place sound effects in 3D space around you. I have an Atmos setup, and it’s easily the most impressive surround sound upgrade I’ve made in ages. The Apple TV supports a decent range of surround formats, but not Atmos, and Apple insists on doing the decoding on the Apple TV and sending out either PCM audio or downmixed Dolby Digital 5.1. This is mystifying: almost every new movie that’s been remastered in Dolby Vision has also been redone in Atmos, and support is basically everywhere now. The cheapest Roku players support Atmos passthrough. The Xbox One S handles Atmos. Atmos soundbars were all over CES and they’re just getting cheaper. Netflix is rolling out Atmos support. It’s about to be as mainstream as 5.1 surround. Apple told me that the lack of Atmos isn’t a hardware limitation, and that support is on the roadmap. I strongly suspect that getting Siri’s voice into the Atmos mix is a big goal here, and it’ll be cool when the company figures it out. But right now, for $179, at least offering the option of losing Siri in favor of Atmos passthrough should be a no-brainer. The Apple TV is utterly dependent on other devices in your living room to output any audio or video, and it simply doesn’t seem to acknowledge the idea that they might be better at doing those things. Part of the reason these wonky settings issues are so frustrating is that the Apple TV is full of extremely good ideas. I love that Apple’s single sign-on system lets you log into your cable provider once and then instantly authenticate every app that’s supported across every tvOS and iOS device, even if major players like Comcast are holding out for now. The speed and iOS roots of the Apple TV allows streaming apps add layers of interactivity and polish that just aren’t possible on other boxes: the ESPN app lets you quickly assemble a quadbox of four simultaneous live feeds and instantly go to fullscreen and back with zero lag. It’s a little anemic right now, but the TV app really is the beginning of an entirely new TV home screen experience, especially with the addition of live sports and breaking news alerts. Apple says the Apple TV is a “video-first” device, and that it’s not focused on games as a primary experience, but it’s also really fun to just click around the App Store and discover the medium-sized collection of games to play. It’s not a PS4, but a bunch of iOS games have jumped to tvOS, and many of them are free-to-play, which feels less scammy on the TV for some reason. I spent more time playing a cheapo tennis game than I’d otherwise care to admit, and I got lost playing a free version of Sonic the Hedgehog. It wasn’t a console, and the controls weren’t great, but it was still fun. Siri on the Apple TV is still a subset of Siri on iOS, with more focus on TV and movie results and little personality. Competitors like Google and Amazon are integrating their virtual assistants with their TV products at a deep level. You can tell a Google Home to play something on a Chromecast, and Amazon is rumored to be building a Fire TV box with an Echo-like far-field mic array built right in. That’s not the Apple TV; you’re still holding the remote (or your iPhone with the remote app open) up to your face. We’ll see if and how that changes when the HomePod comes out. I want to love the Apple TV 4K. I want to love it a lot. It is by far the closest thing to being a fully realized vision for the future of TV that exists. But because it’s so ambitious, it’s also the farthest away from the vision it’s trying to achieve. Cheaper devices with fewer dreams about unified interfaces are much better at simply turning on and putting some video on your TV, with less aggressive video processing and better surround support. 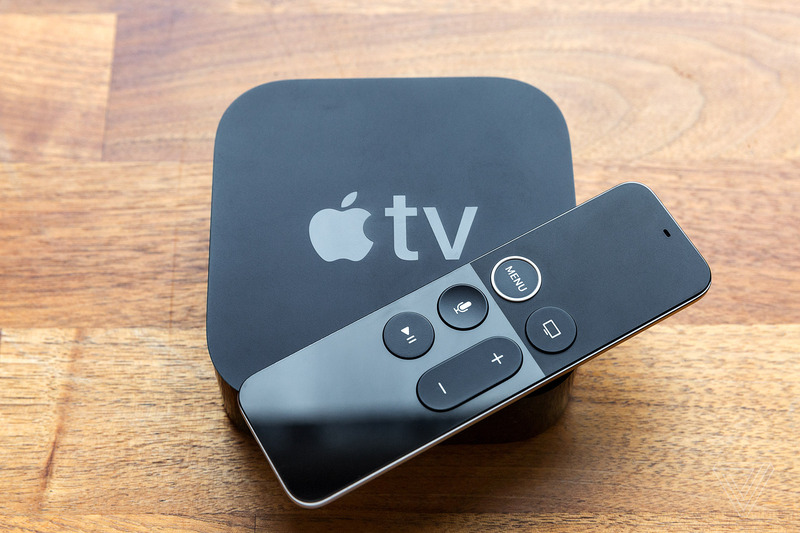 For Apple to justify the Apple TV 4K’s $179 price tag against the apps already built into your TV and those very popular cheap streaming sticks, it needs to offer a perfect utopia of the best technical capabilities, a complete content catalog, and a simplified interface. I know a lot of video nerds, and all of them were hoping the Apple TV 4K would be the One True Box. That’s what Apple does: it rolls in and confidently fixes complicated tech problems with elegant solutions. The Apple TV 4K does not do that. Worse, its attempts to solve the thorny technical problems of home theaters are less flexible and sometimes not as good as other, cheaper boxes. 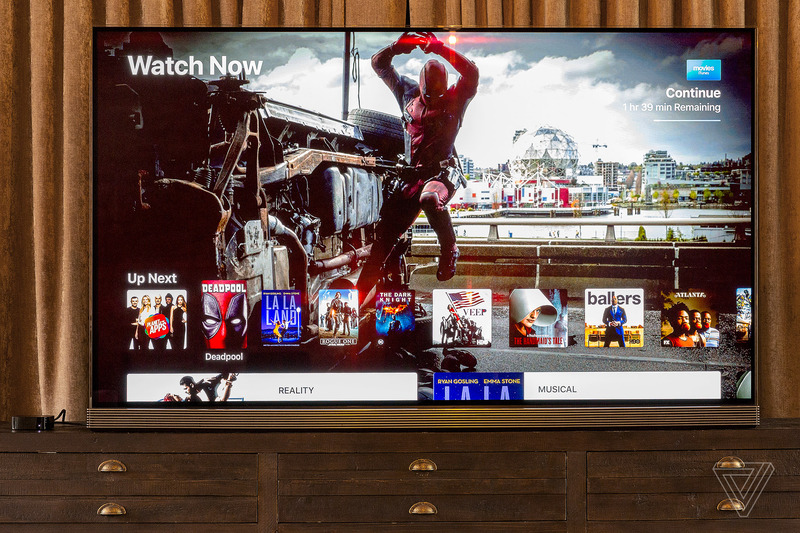 If you buy one of the most expensive TV products on the market, you shouldn’t have to think about whether you’re getting access to a complete content library, the best audio and video quality possible, and YouTube in 4K. You should get it all, and never think about it again. It should light up all of the lights. If you’re already invested in a huge iTunes movie library, or you buy so many movies that Apple’s cheaper pricing makes a big difference to you, you’re not going to be unhappy about buying an Apple TV 4K. It’ll be fine, and having your existing library get upgraded will be nice, although the HDR upscaler will occasionally make you sad. But if you just want to watch some Netflix and you’re fine with renting movies from a service like Vudu or Amazon, stick with the apps on your existing 4K HDR smart TV for now or pick up a Roku. If you absolutely must spend a bunch of money, buy an Xbox One S bundle for $249 — you’ll at least get a free game out of it as well. All of this stuff will be messy and annoying in different ways, but they’ll get the job done. I am very confident Apple is going to figure this TV thing out. It’s the only company that has the combination of power and care to actually do it. But the Apple TV 4K’s unrealized potential just makes it obvious that the future of TV is still pretty far away, and it’s simply too expensive to gamble on in the meantime.